Attorney Daniel S. Blinn is the Managing Attorney of Consumer Law Group, LLC. Blinn founded the firm in 1997 after practicing as a partner in a major Connecticut law firm, where he handled complex business litigation cases. Blinn handles the full range of consumer claims, including representing consumers in actions involving auto dealer fraud, home construction and improvement, creditor and debt collector harassment, credit reporting, auto repossession, auto and consumer product warranty, and rent to own. He has served as lead counsel in twenty certified class actions and numerous putative class actions and mass actions involving auto financing and repossessions, mortgage lending, health clubs, auto dealer practices, wage claims against the restaurant industry, debt collection practices, and improper collection of sales taxes. He currently serves as the co-chair of the Individual Claims Steering Committee in the Ameriquest litigation consolidated in the United States District Court Multi-District Panel located in the Northern District of Illinois. Blinn served as the chair of the Consumer Law Section of the Connecticut Bar Association from 1999 until 2005, having previously served as that section's treasurer and secretary. 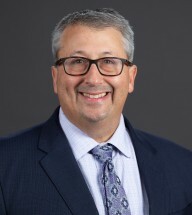 He also serves as the president of the board of directors of Statewide Legal Services of Connecticut. Blinn is also the past president of the Greater Hartford Legal Aid Foundation, which raises funds to support Greater Hartford Legal Aid. He is a James W. Cooper Fellow of the Connecticut Bar Foundation and is a past winner of the Connecticut Bar Association's Pro Bono Award. He also served on the Connecticut Bar Association's Task Force on the Future of the Legal Profession and a Connecticut Judicial Task Force studying possible amendments to Connecticut's class action procedures. Blinn graduated from New York University School of Law, where he was president of his class, in 1987. Bowling Green State University, Bowling Green, OH.